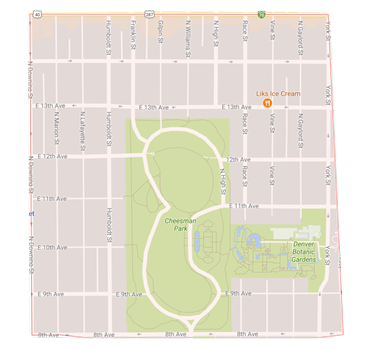 The Cheesman Park neighborhood, named after the beautiful city park at its center, is located just southeast of downtown Denver. It’s one of the oldest neighborhoods in Denver, adjacent to Capitol Hill, Congress Park, and City Park West. 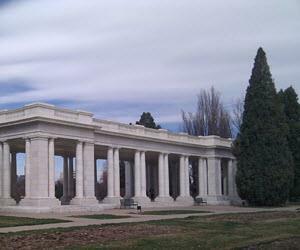 Cheesman Park is known for its history as one of the oldest neighborhoods in Denver. The park was a cemetery until the turn of the 20th Century when the land was developed into Victorian mansions for the wealthy professional class in Denver. You will also find three Denver historical residential districts in the Cheesman Park neighborhood: Wyman’s, Morgan’s Addition, and Humboldt Island. These historic districts feature different architectural styles from the early 20th Century and earlier. Today, the Denver neighborhood is filled with apartment buildings and high-rise condominiums that border the park. With more renters than homeowners in the neighborhood, Cheesman Park is a magnet for singles and young people. The neighborhood has both modern and older apartments (some former mansions), as well as single-family homes among bigger luxury houses. With its centralized location, proximity to downtown Denver, and everything the heart the city has to offer, this urban neighborhood is a great place to settle in Denver.